Getting a speeding ticket is never fun, but it’s a relatively common occurrence. One in ten drivers in the United States get stopped for speeding annually, and of those, usually about 70% actually get tickets. 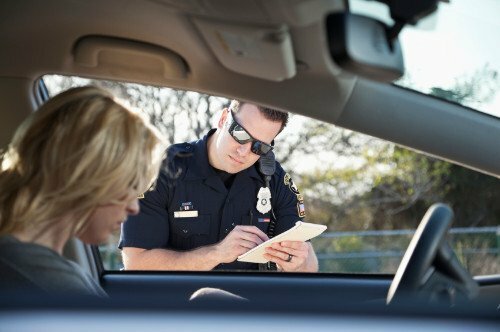 A speeding ticket can cause a lot of problems for you when it comes to your insurance rates, not to mention the cost of the ticket itself. Plus, if you get too many, you can end up having your license suspended. Below, we will explain the process involved in each choice so you can make an educated decision on the best route for you. Sometimes people just don't want to take the time or effort to challenge a speeding ticket, so they will just agree to pay it. This has several consequences. First of all, there’s the cost of the ticket itself. It can vary, depending on where you were and how far over the speed limit you were going when you were cited. Some states have higher fines for speeding than others, which means that you could end up paying more than you expected for a ticket in one of those states. Also, you will get points on your license according to the kind of ticket you received, as well as how much over the speed limit you were traveling. Those points will almost always cause your insurance rates to go up. This will also vary from state to state. Some insurance companies have special programs for people that have a lot of tickets, but overall you can expect your rates to increase. If you’re seeking new insurance, your down payment and monthly premium will be significantly higher. If you choose to pay the ticket, make sure that you pay it by the date on the citation to avoid additional fines and potential problems. Depending on the circumstances regarding your ticket (for example, if you were not actually speeding or if there’s another reason you feel the ticket was unjustified), you may choose to fight the ticket in court. Some people dispute their ticket even if it was justified, simply to see if they can get the fines and/or points reduced. In most cases, you should expect to appear in court if you decide to fight the ticket. You can represent yourself, or you can hire a lawyer to fight it for you. If the penalty is very serious or if you may potentially lose your license because of the ticket, it is better to hire a lawyer to help you. If you go to court, the prosecutor has to present evidence to prove that you committed the violation. At the end of the hearing, the judge will either have you pay the full fine, reduce the fine, or dismiss the ticket completely. Seeking mitigation does not always mean an automatic reduction. In some cases, the court will reject the arguments and explanations, forcing you to pay the full cost and receive points. However, you have nothing to lose by trying. Remember that when seeking mitigation, you cannot go back later and appeal it because you are admitting that you committed the violation. A defensive driving course can be a huge help to many drivers – it can help dismiss a ticket, fulfill a court order, and even reduce points on your driving record. Our defensive driving courses come in different formats, so check your state's requirements and choose the one right for you. We hope that this information helps you explore the different choices you have when dealing with a speeding ticket. Take a look at the options we have listed above and decide on the course of action that will work the best for you. Best of luck!